Delilah Belle Hamlin shared a photo wearing Glamrocks Jewelry on Instagram over the weekend! The model enjoyed the long weekend with friends by the pool rocking the Disco Lariat Choker in gold ($130 www.glamrocksjewelry.com). You may want to also read our recent blog post about Delilah Belle Hamlin wearing a lovely sun hat. 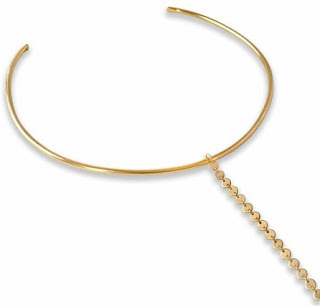 Here is a closer look at the choker Delilah was wearing.